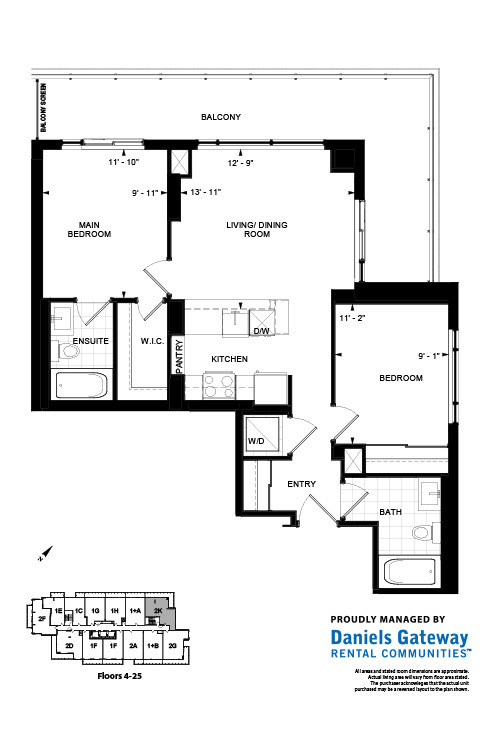 Suite: 839 SF. + Outdoor area: 251 SF. Experience exceptional rental living in the heart of Erin Mills – Rent Now! If you’re interested to learn more about Skyrise Rental Residence register today by submitting your information below and a Leasing Agent will be sure to contact you. By providing us with your email address, you are agreeing to receive information from The Daniels Corporation and a Leasing Representative about our current and upcoming projects and events. You may unsubscribe at any time. DISCLAIMER: Prices and specifications are subject to change without notice. All areas and stated room dimensions are approximate.. Actual living area will vary from floor area stated. Builder may substitute materials for those provided in the plans and specifications provided such materials are of quality equal to or better than the material provided for in the plans and specifications. E & O.E.